Bomb threat that closed Copenhagen Central Station was false alarm | Goobsan Media Inc.
UPDATE: Police reopened Copenhagen Central Station shortly before 7pm after a bomb scare that saw all passengers evacuated from the arrival hall earlier in the afternoon under what police called “suspicious circumstances”. Police now say that a suspicious bag was behind the drama. Trains are still running behind schedule on some lines. Copenhagen Police are searching Central Station due to what they called “suspicious circumstances”. Trains are still running through the station, but the arrival hall is closed. 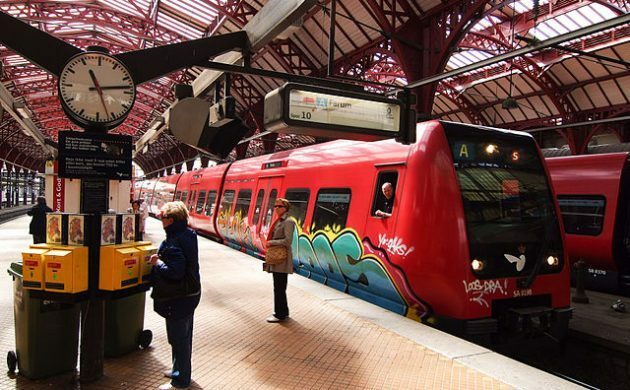 Passengers are advised to catch trains at Tietgensbroen – the other end of the station near DGI-byen – Michael Andersen of Copenhagen Police told DR Nyheder. Police did not elaborate on the suspicious circumstances, but passengers were asked to leave the building due to a bomb threat. According to DSB, there may be delays to and from Central Station.